UC Browser is and has been one of the most popular mobile browsers for Android for quite a few years now and has garnered a reputation for being a fast and reliable browser. But the Chromium based browser is also available for Windows, and if anything, it’s better than its smaller-fonted big brother, and a definite contender for anyone looking for a replacement for Chrome on their computer. 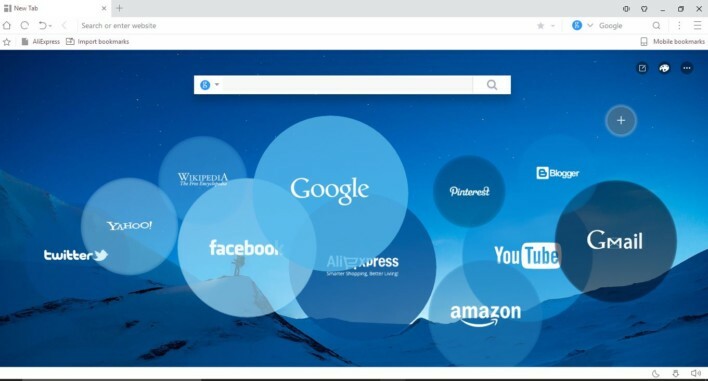 The best way to think about UC Browser for Windows is this: Google Chrome, but better. The download is less than 50 megabytes in size, the blue squirrel install icon is reassuring, and it’s up and running in next to no time. Users of Chrome or Firefox will also feel at home immediately at home, and pretty much all your standard familiar Chrome extensions can be installed straight from the Chrome Web Store. It looks nice as well, and has slick no no-nonsense easy to use buttons that stay out of your way when browsing and don’t clog up the screen or get in your way. UC Browser also comes with some very nice extra features as standard. The Video/MP3 Grabber is a nifty little extra that allows you to download any MP3 or online video with once click, and allows you to determine the video quality. Bear in mind of course, you must obey whatever copyright laws exist in your particular geographical location before downloading anything. Of course, if you don’t want to download online videos, you can just watch them instead and the Pop-Out-Video option lets you watch while getting on with other stuff which I kind of think of as necessary these days. The built-in Ad Blocker is also very welcome, but whether you want to have this on or not, is of course, your choice. Lots of websites these days won’t let you have access to them if you arrive with an ad blocker turned on, but UC’s does seem to be quite effective. The thing I like about UC Browser for Windows the best though, is the night mode. Blue light technology was a big thing at the recent CES, and UC are doing their bit to help us work at night. Essentially, night mode automatically dims the screen depending on the time of day, and makes it easier on your poor tired eyes. UC also has some behind the scenes acceleration features, such as link pre-loading when the mouse hovers over a link, and next page preloading so it will open immediately when you click on it. Cloud Boost though is where it’s at, compressing images as they download so that bandwidth is decreased, but with only the slightest, barely unnoticeable deterioration in mages; perfect for limited connections and those with data caps. UC also comes with a better than most Smart download manager, allowing you to resume downloads if your connection is lost, or you turn your laptop on or off. If you already use UC Browser on another device, then you can also sync your history, bookmarks and preferences etc., between whatever you use UC on. So, in conclusion, UC Browser is a smart interesting choice for anyone looking for a browser that is sleek, easy to use, and that’s like Chrome, but better. Users in India only (boo!) also get the chance to weekly prizes thanks to UC Super Day. The rest of us however will have to content ourselves with the fact that we’re using a fast and fun browser. Oh, and of course, it’s completely free, and as always, you can grab it right here from FileHippo.com.